Adam E., School Intervention Specialist at Van Buren County School Based Mental Health in Arkansas uses the Mutt-i-grees Curriculum to teach students social and emotional skills that will help them succeed in school. He has incorporated as many of the readings, resources, and activities from the Curriculum as he can, which helps keep the students’ attention. Adam is well-rounded in Mutt-i-grees; he uses the Curriculum with preschoolers, kindergarteners, and elementary students, as well as junior high and high school ALE students. According to Adam, both students and their families are excited about the Curriculum. He says he has had multiple parents tell him that their children come home talking about Mutt-i-grees! 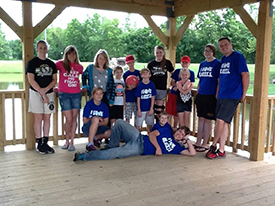 Because he works with a wide range of ages, Adam has been able to implement a variety of Mutt-i-grees activities with his students. 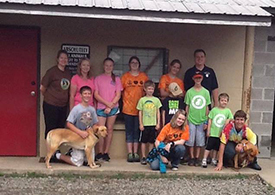 Junior high and high school students volunteer at their local animal shelter on a regular basis and also participate in a week-long summer camp, which includes a variety of service learning and community outreach projects. Younger students love all the activities that involve action and movement. Adam says he’s able to adapt the Curriculum to each class’s developmental level, a quality he enjoys most about Mutt-i-grees.